Kayak fishing is becoming more and more of a popular sport these days and many kayak anglers are putting items on their Christmas list. I know I have a few goodies I want for my kayaks for helping me catch more fish and also helping handle my kayaks. Below you will see my top 5 kayak angler items that I suggest and I want for Christmas and my next kayak fishing adventure. These are items that might help you land that next lunker or items that will just help you stay safer. Leave a comment below and let me know what’s the one item you can’t live without while kayak fishing. I know kayak fishing is about going back to the basics, but sometimes the average fisherman like myself needs a little help. This is wear a quality locator comes into play. 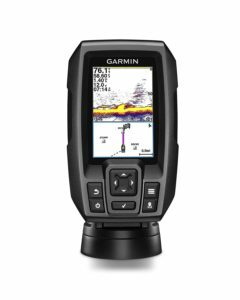 For a retail of $180, the features the Garmin STRIKER 4cv comes within a small compact unit is the perfect fish finder for kayak fishing. Being a mounted locator, you’ll just have to come up with a way to mount it, a transducer and battery. But that’s also the fun part of kayaking for me. CLEARVÜ SCANNING SONAR – Shows you more of what is in the water around your boat. This high-frequency sonar gives near-photographic images with detailed representations of objects, structure, and fish. WAYPOINT MAP – Use the waypoint map to easily view, mark and navigate to locations such as brush piles, stumps, and docks. Being safe is the #1 concern every outdoorsman should focus on. Wearing a quality life vest is the most important tool you have with any fishing. I know they get uncomfortable sometimes or they get hot, but that’s worth it to your family when they don’t have to worry as much when you’re out on the water in your little boat. 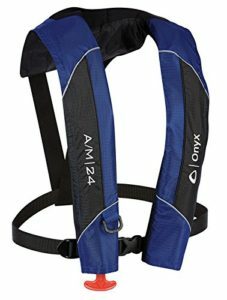 This Onyx inflatable life vest has been on my list for a long time and I know my family wants me in one also. A vest provides the widest range of motion, without limiting movement. Having everything we need in a handy crate we can take on and off our kayak is a life saver. 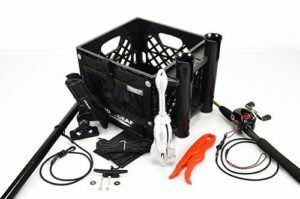 Yak Gear has developed this crate system that includes items just about every kayak angler needs. If you’re new to kayak fishing, this is a great purchase that will get you on the right track. This is something I do have and can’t live without. I have two sets and have them on my trucks racks and they even get thrown on my wife’s minivan also when we take long trips. My wife actually likes to keep them on her van. 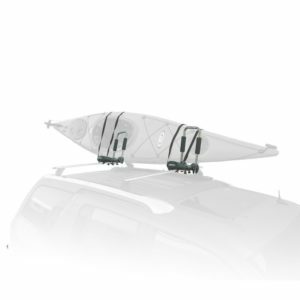 I know you have seen those tall solid tube kayak racks mounted on top of cars and they are always just sticking out like a sore thumb. Plus don’t even think about going thru a car wash. With these racks, you can fold them down when you’re not using them. Also, what I like about them, is you can adjust the angle to fit all types and sizes of kayaks. I am a solo kayak angler most of the time and have learned that dragging the kayak on the ground, gravel and pavement, does more damage than I thought. Plus it’s not always a short distance you need to go. So a good cart to is a great item to have to save your kayak from damage and also save your back. The C-Tug Boat Cart is one I have been looking at for a while myself. Just a simple cart that will work with any kayak is all I need. C-TUG is made in New Zealand from composite materials, it will not rust or corrode. The C-TUG weighs in at a low 9.3lbs yet still carries a 300lb load. 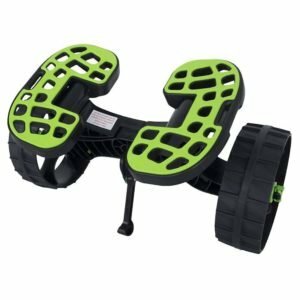 New KIWI puncture freewheels were introduced last year which has improved the carts overall performance. What is your must-have product you really want or can’t live without? Leave a comment and let me know. Number one gift idea for the person who wants to be a Kayak angler of course is the Kayak.